Watch the presentation beneath to see how measure your wrist or your dog´s or cat´s collar size. Measuring tape. 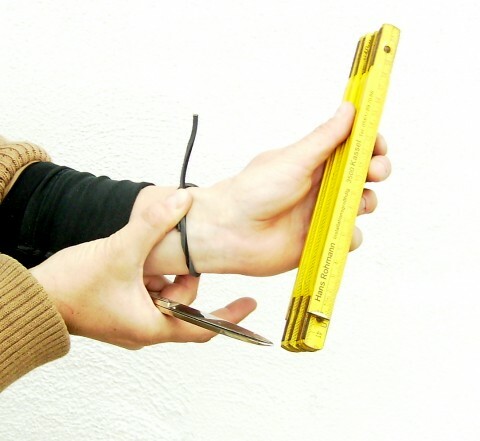 Use a measuring tape to measure your wrist. Fill this exact size of your writs out in the assigned field before placing it into your shopping cart. I will make the bracelet to your appropriate exact size! You can also use a piece of string or paper. Mark it in the right place and cut it here. Subsequently than determine the size. Fill this exact size of your writs out in the assigned field before placing it into your shopping cart. I will make the bracelet to your appropriate exact size! Measure the neck size of your dog or cat. 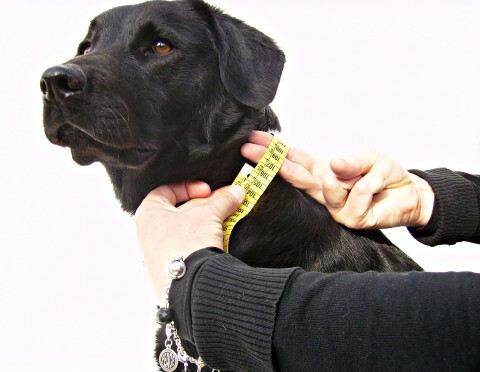 Measure the size of the neck at the widest part of your dog and cat. Put two fingers as a margin. Take care that the dog or cat breads properly and does not keep air in the lungs. This can happen through excitation. The usable length of the necklace. The usable length of the necklace is indicated by the arrow in the image above. In each category we indicate this size, which at the same time is the maximum size of the collar. 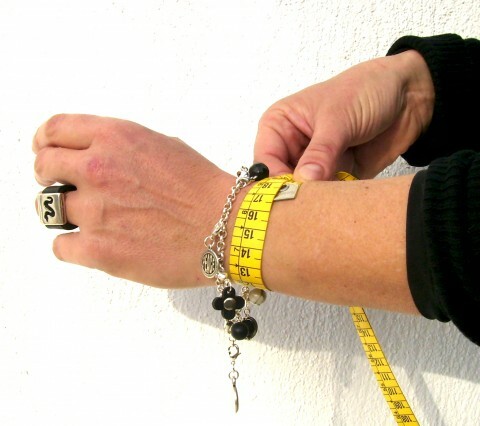 Use a measuring tape to measure your wrist, finger or neck size of yur dog or cat. Use a measuring tape to measure your wrist. You can also use a piece of string or paper. Mark it in the right place and cut it here. Subsequently than determine the size. 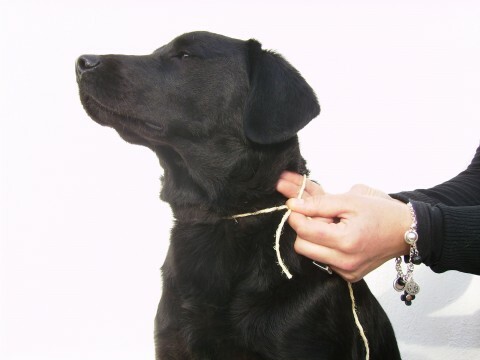 Measure the size of the neck at the widest part of your dog and cat. Put two fingers as a margin. Take care that the dog or cat breads properly and does not keep air in the lungs. This can happen through excitation. The usable length of the necklace is indicated by the arrow in the image above in the presentation. In each category we indicate this size, which at the same time is the maximum size of the collar.